The University of Hong Kong adopts the highest standards of research integrity for its staff and students. 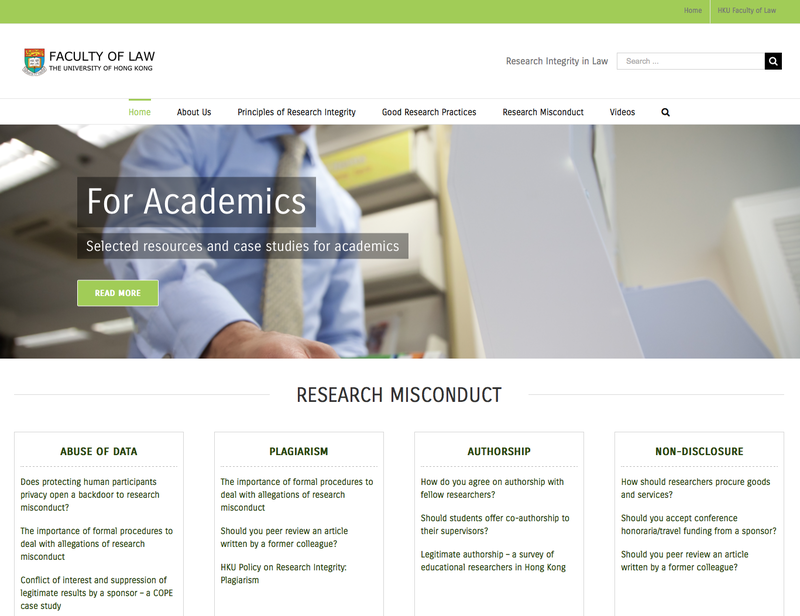 The Faculty of Law is pleased to announce the launch of a new website to guide users on the rules, procedures and questions related to research integrity in the law school context. The website has many short articles on the principles of research integrity, good research practices and research misconduct. It also features case studies and video recordings of trainers who have spoken at the University of Hong Kong. The website will serve as a valuable resource for staff and students who are applying for research ethics approval or seeking guidance on important topics in research integrity such as accountability, honesty, objectivity, openness, due diligence, fairness in giving credit and nurturing students and early-career research colleagues. 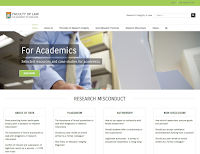 The website can be accessed at http://www.law.hku.hk/researchintegrity/.